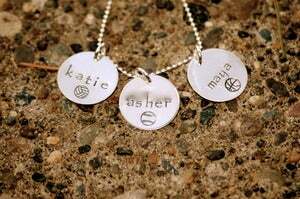 I have been drooling over hand-stamped jewelry for over a year now and am so excited to bring you this great giveaway! Amy Anderson, owner of the local Moxie Metal Jewelry, has generously offered a Frugal Living NW reader one piece of jewelry from her beautiful collection. In addition to the giveaway, Amy has set up a special 15% discount just for Frugal Living NW readers. Use the discount code frugalliving at checkout. Order by December 15 to ensure Christmas delivery. :: Comment with your email and favorite product from the Moxie Metal Jewelry site (required in order to do other entries). I too am a fan of the sassy pearl necklace! I like the sassy pearl necklace. I love the sassy pearl! And I am also a facebook fan! Frugal Living NW is on my google reader!